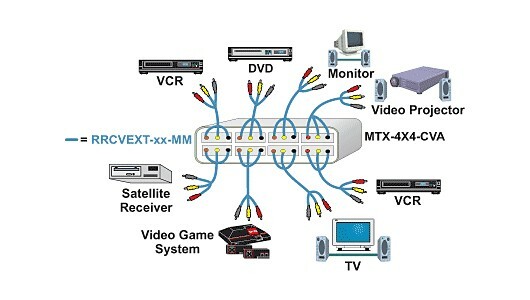 The Composite Video/Audio Matrix Switch routes audio and video from four composite video sources to four displays (projectors, monitors, etc.) 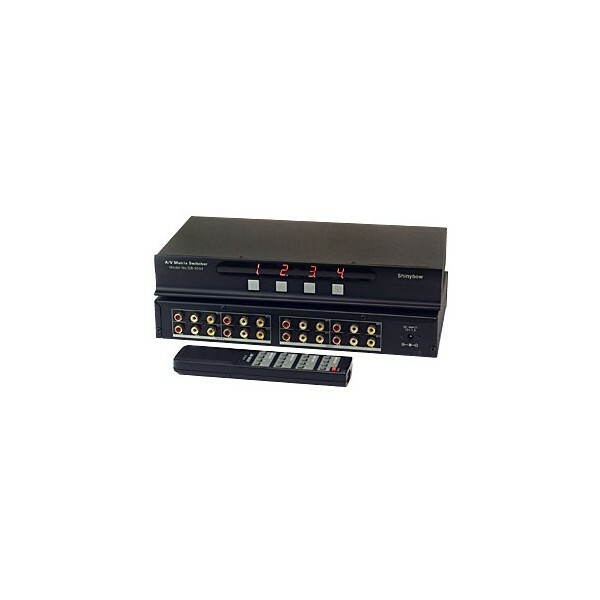 The video signal from a single video source can be routed to numerous displays. 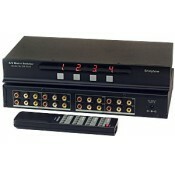 Supports HDTV resolutions to 567i. Eliminate duplicate purchases of expensive equipment. 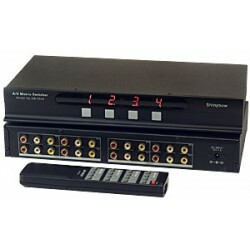 Extend enjoyment of your A/V equipment to multiple rooms. Four sets (R&L) of RCA audio jacks. Audio input: Stereo (R&L), 100K Ohm. Video output: +1Vpp, 75 Ohm. Audio output: Stereo (R&L), 40K Ohm. Front panel buttons allow you to make and break connections. Infrared remote control with 2 AA batteries.